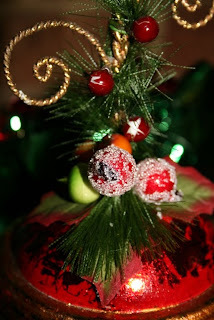 Christmas is almost here ... only two days to go ... how exciting! 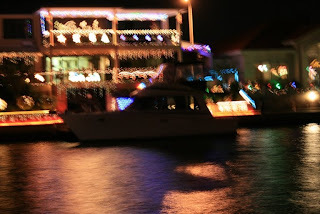 Tonight hubby and I went driving around the canals in Mandurah to view the Christmas lights on the houses. 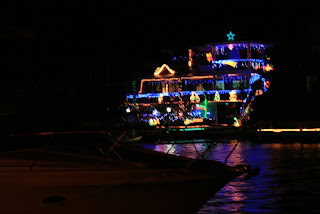 Each year the canal homes put on a spectacular light display and the public can take boat cruises to view them in style. The council are obviously on a budget as they've not bothered to put up any lights at all in the centre of town. Maybe there were no funds left after the office Christmas party! 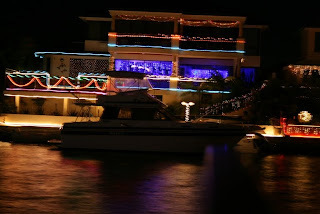 Someone wrote to the local paper and commented that "Grinch stole Christmas in Mandurah" ... must say, I have to agree. Very disappointing. 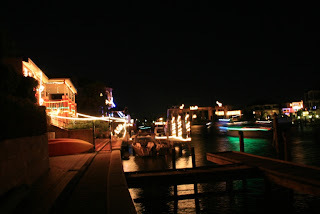 For those who have put the effort in and decorated their homes, a big THANK YOU to you all. Much appreciated. Apologies for the blurry photos ... no matter what setting I put the camera on, I couldn't get good, clear shots, but I think you can all get the idea. 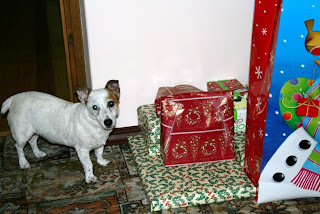 And of course, at home, there's a very excited little girl who can't wait to rip open her presents on Christmas morning. 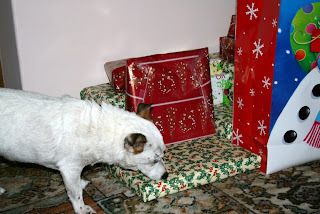 Not that these are all for her .... yes she's spoilt, but not that much!!!! And so, I wish you all a very merry Christmas, and a happy and safe new year. May we all be grateful for what we have, and remember to tell those we love just how much they mean to us. The creative juices finally kicked in last week ... how long they'll last is another question. I'm still working on Module 8 with transparent fabrics. 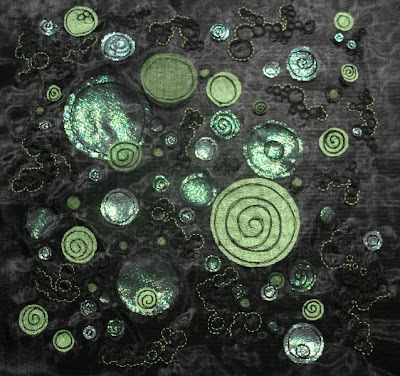 This piece was created using black organza, home dyed vibrant green muslin and crystal organza. I adhered some circles of crystal organza and muslin between the layers of black organza, and then adhered some circles on the top layer of black organza. From there I machine stitched swirls and circles on, or around. 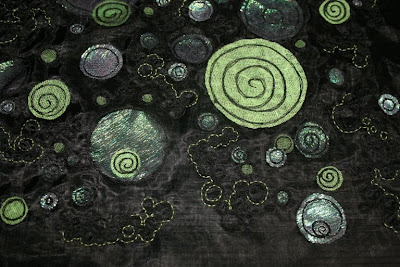 the adhered fabrics, in black thread, and continued the circle design by stitching groups of circles in the negative spaces of the black organza. I finished it off with some hand stitching in running stitch using green DMC floss, running around the outlines of the circular stitching. The photos don't show the vibrancy of the colours or fabrics, which is a shame, but it shines and sparkles lovely. My family thinks its like something out of the sea, but it reminds me of the stars, so I've called it the "Cosmos".